After Invisalign Treatment: What’s Next? As you’re nearing the end of your Invisalign® treatment you'll probably be giving some thought to what will happen next. Here’s a little about what to expect after your treatment is complete! Often our Invisalign® patients decide to whiten their teeth following treatment in order to complete the look and highlight their straight new smiles! If you'd like to whiten your teeth, just schedule an appointment and your Surrey dentist would be happy to discuss your options with you! Once your Invisalign® orthodontic treatment is complete, the maintenance portion of your treatment will begin. This pretty much means one thing: a retainer. Following any type of orthodontic treatment, your teeth just won't be as firmly set in the surrounding tissues as they once were. In order to prevent them from gradually shifting back out of position, you will need to wear a retainer. Initially, you'll have to wear your retainer full time, in order to give your teeth an opportunity to settle into their new positions. But over time, you'll likely be able to downgrade to wearing your retaining on a part-time basis. This could mean wearing your retainer only on certain days of the week, or perhaps just at night. Following your Invisalign® treatment you will need to continue visiting your dentist for regular cleanings and checkups, just like you always have. But of course you no longer have to attend the extra Invisalign®-specific checkup appointments. That means that while we’ll still be seeing you regularly, it won’t be as frequently. Congratulations! The very best thing about completing your Invisalign® orthodontic treatment will be the beautiful, straight smile you’ll have as a result! 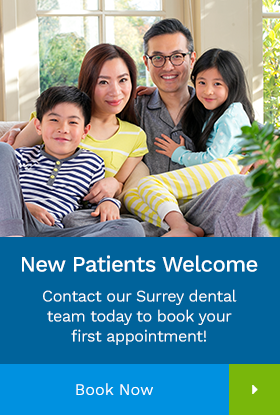 If you have more questions about what to expect after your Invisalign® treatment is complete, contact our Surrey dentists for a consultation today!